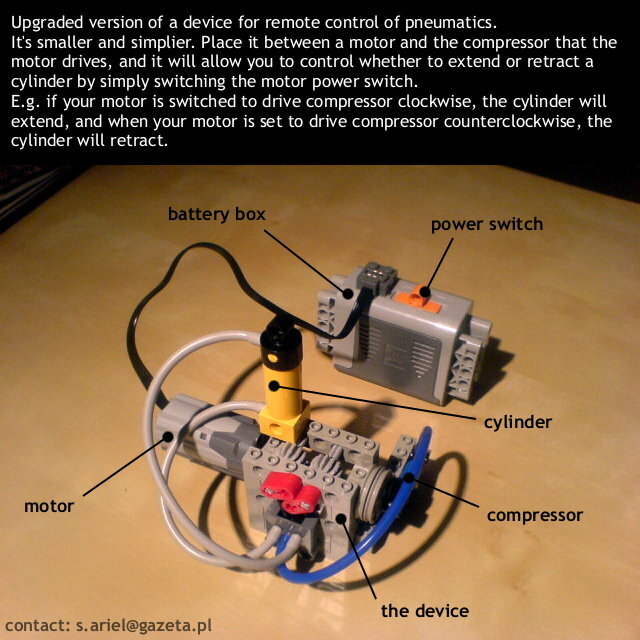 A mechanism that blends an electric compressor with a pneumatic valve, so that a single motor can drive the compressor and control the valve at the same time. 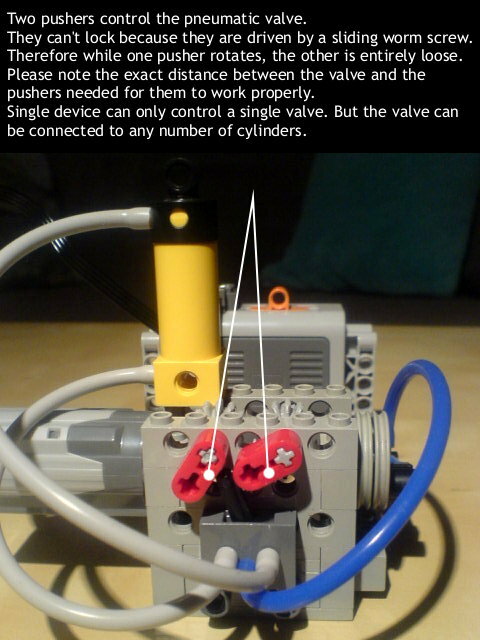 The basic idea of this design is to create a remotely controlled pneumatic circuit using a single motor. Since a compressor works the same no matter what direction the motor is running in, I thought it may be used as an advantage. 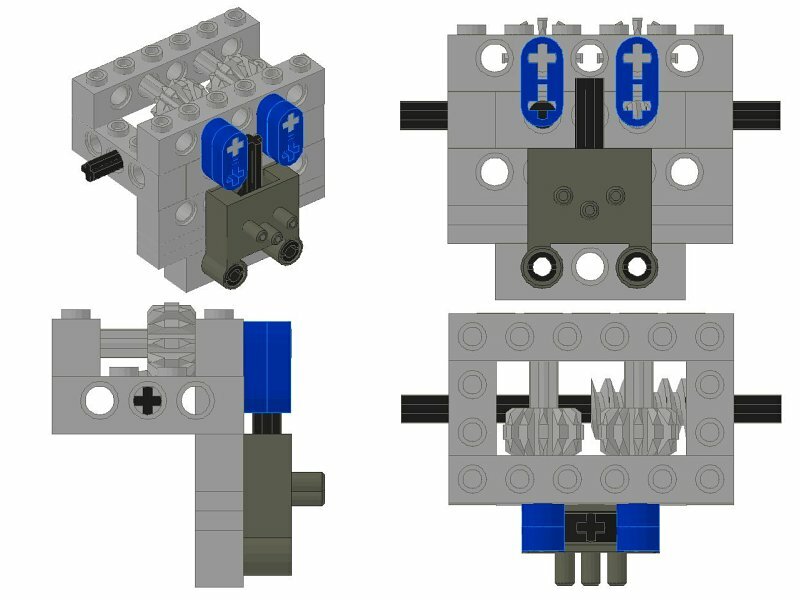 Thanks to the worm gear sliding property, it is possible to control a pneumatic valve with the same motor that drives the compressor, and switch the valve by changing the motor’s direction of rotation. 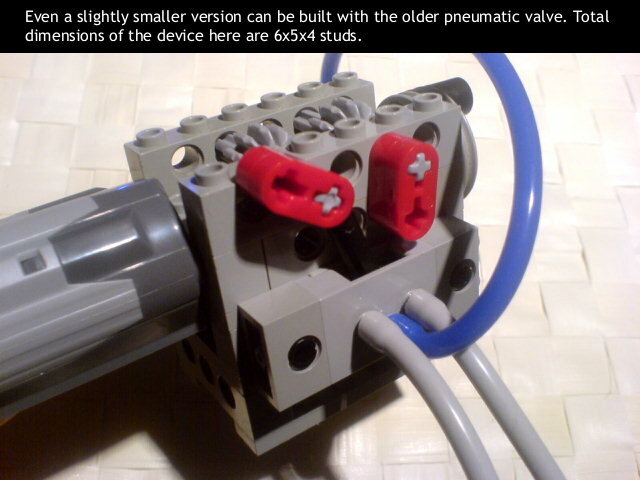 The entire device is rather small, and can be slightly smaller when used with the older type of pneumatic valves (see a diagram on the photos below). 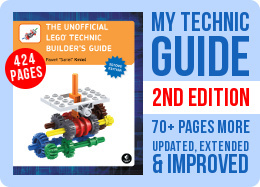 It is easy to build and easy to use, as you can see on the video below. 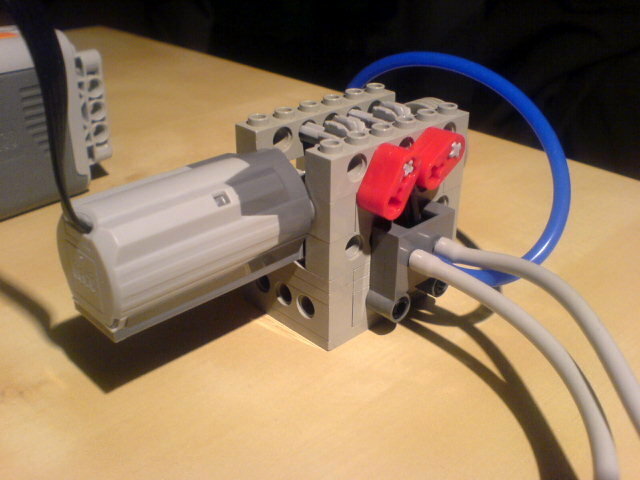 A single device can control a single pneumatic circuit, however, there can be additional circuits connected to the compressor and controlled manually. The main disadvantage of the autovalve is that the valve can’t be set into a neutral position. Personally, I find it very useful though. Well, videos from 2007 tend to do that. So you could easily control this even more remotely by using an IR reciever and an IR-TX remote. By the way your video is rather blurry. No, as you can see on the video. You mean you want to provide air from one pump and have several valves? 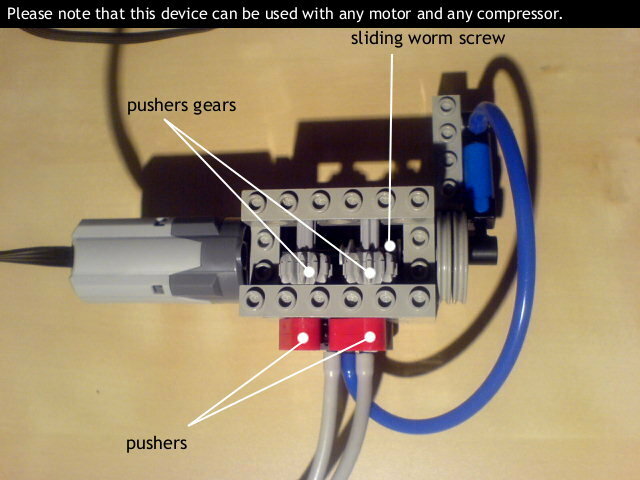 Then all you need to do is to make one compressor and several motorized valves. There’s no need to combine them into one unit. I would like to propose a challenge to you. 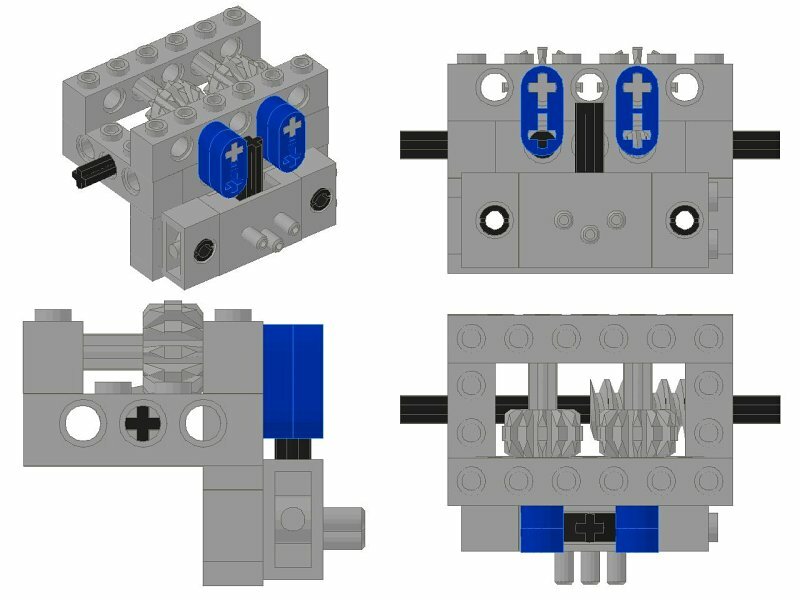 Would it be possible to operate 2 or more pnuematic autovalves with just one pump? Great idea! I’m using it just now in my robotic arm. THX Sariel! 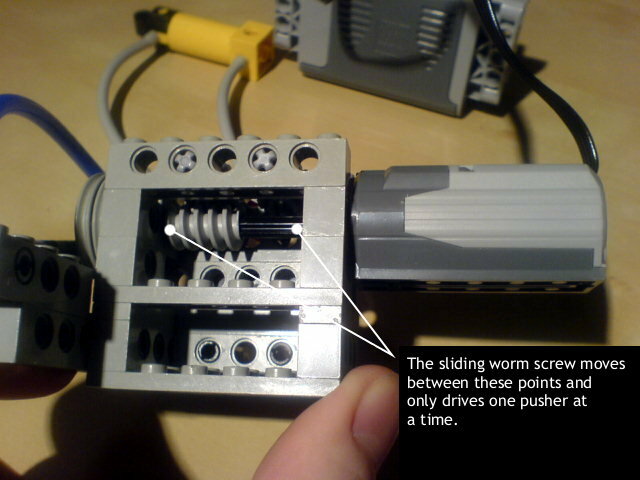 No, if you adjust gear ratios well the absorbers should be able to push motor back once it stops. I’ve seen someone doing it with a valve, just can’t remember the link. 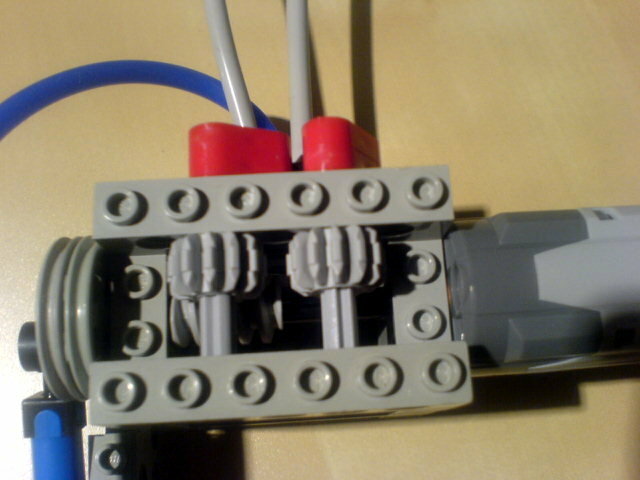 Use a clutch gear and two opposing shock absorbers. 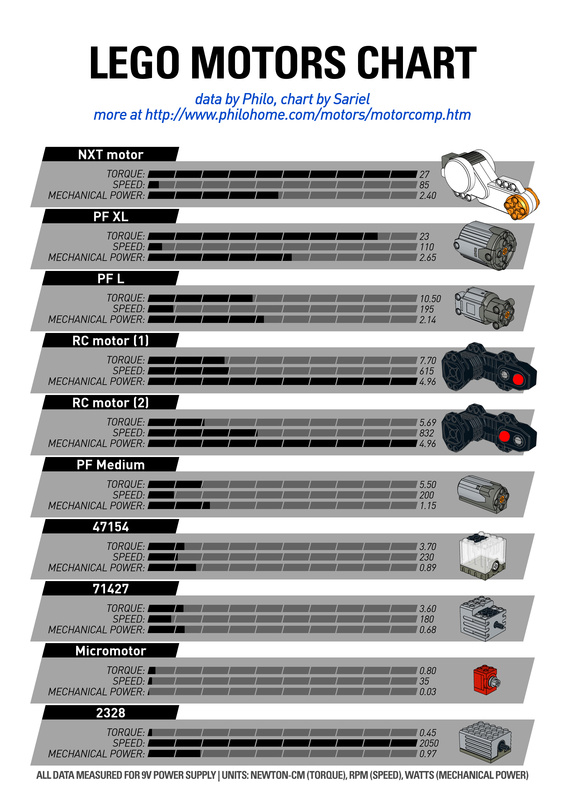 Me again, been looking around online for a pf controlled valve that automatically resets to the neutral position when the motor is not running. If you have anything it would be extremely useful, thanks. I think there will be a great chance of knobs getting jammed against each other and against the switch. This is a fantastic invention, well done! I’m planning to use it soon on a model of a Schaffer wheel loader. 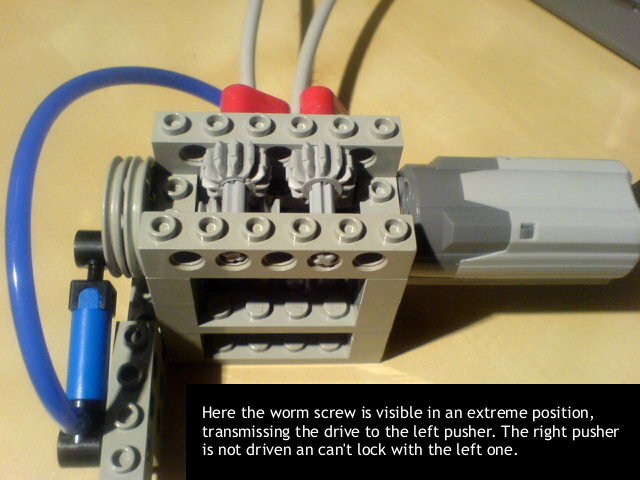 I have a suggestion that might improve it – instead of using the single cams for pushing the pneumatic switch could you use a cross shaped 4-way cam, maybe the black technic knob wheel – 32072 – http://www.bricklink.com/catalogItem.asp?P=32072 ? I think this would minimise the delay in changing the switch direction as it would push the switch with 4X the frequency. I haven’t tried this yet, but what do you think?